an extra virgin olive oil should contain, in only one product. which will be carried out at the moment they finish their studies. operated olive mill in La Rioja. residues, which are harmful for your health. – The harvest begins early and is carried out with a lot of care. 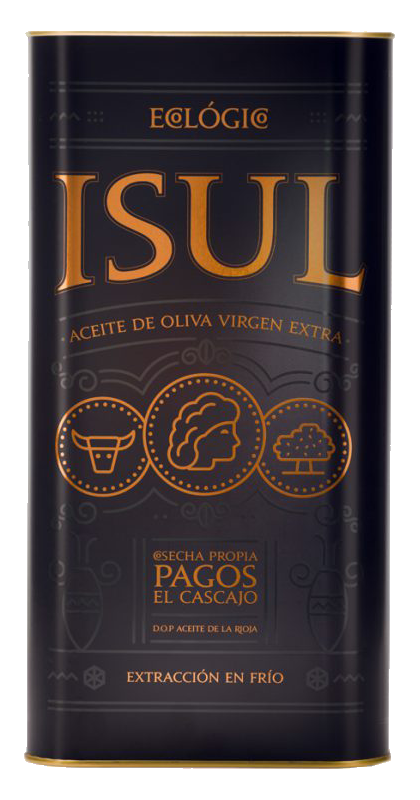 -The olive oil is extracted under low temperatures. processing are made of stainless steel. -We manufacture only one type of olive oil: organic, extra virgin olive oil. The extract of the olive fruit. The quality of extra virgin olive oil is determined by climate, the agricultural land, the healthy olive, immediate grinding of the olive once it is picked, cold manufacturing and appropriate storage. The failure of just one of these stages means an irreversible loss in quality. The organoleptic value (those properties that can be perceived by our senses) decreases the longer the product remains in its packaging. Thus we recommend that the oil is consumed as soon as possible. The oil is packaged without filtering to prevent wastage of its taste and aroma, so small olive particles may appear in the bottom of the bottle. Keep in a dark, dry place away from strong smells. In cold environments the oil may solidify, but its liquid state is recovered upon an increase in temperature.